PTCEE is the non-residential, distance-learning programme of PTC, serving the region since 1996. Nearly 1000 Christians from diverse backgrounds and many different churches have chosen to study with PTCEE since that time. We enable students across the region to learn at home, in their own environment and at their own speed, through accessible, achievable, accredited courses. Previously courses were only offered via print-mode, but now PTCEE has made all its courses available ONLINE through the Moodle LMS. PTCEE Why do we need it? If you want to expand your knowledge and wisdom about God, Church and World and can commit to regular, faithful study, PTCEE is for you. God calls all the faithful to mission and ministry, not only those who are ordained. Whether we are in the village or the town; at the workplace or with the family; listening to our politicians or our preachers; on the sports field or at choir practice; theological education is necessary and practical. 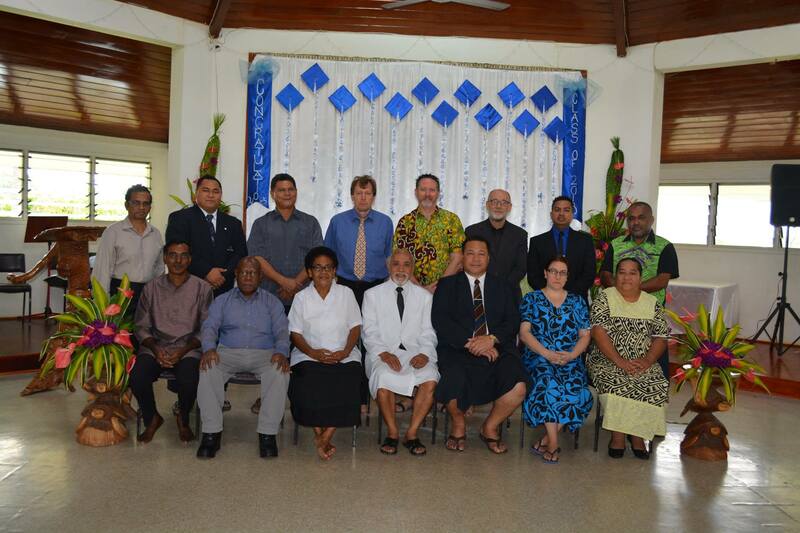 PTCEE studies help us think about Christian responses to pressing realities affecting Church and society in Oceania such as climate justice, religious diversity, land and relocation issues, poverty and wealth, migration and globalisation. Theological Education helps us study the holy scriptures, examine the varied traditions we come from, use our God-given reason wisely and reflect on real-life experiences through the eyes of faith. 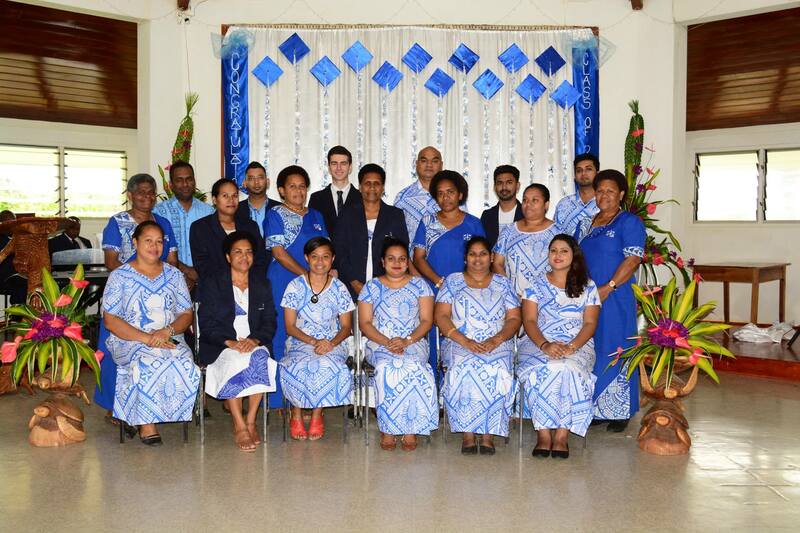 PTCEE Diploma and Certificate graduates 2017 from the Ekalesia Kelisiano Tuvalu, Methodist Church in Fiji and Rotuma and the Anglican Church of Melanesia, Solomon Islands. Certificate courses have open entry to anyone who can read, write, understand and express their ideas reasonably well in the English language. PTCEE students come from across a wide age spectrum and with different levels of formal education and life experience. All are welcome to enrol on the Certificate and test the waters. Why not? Many progress from the Certificate to the Diploma, and possibly to Bachelor Degree level. The standards, of course, gradually become more demanding. 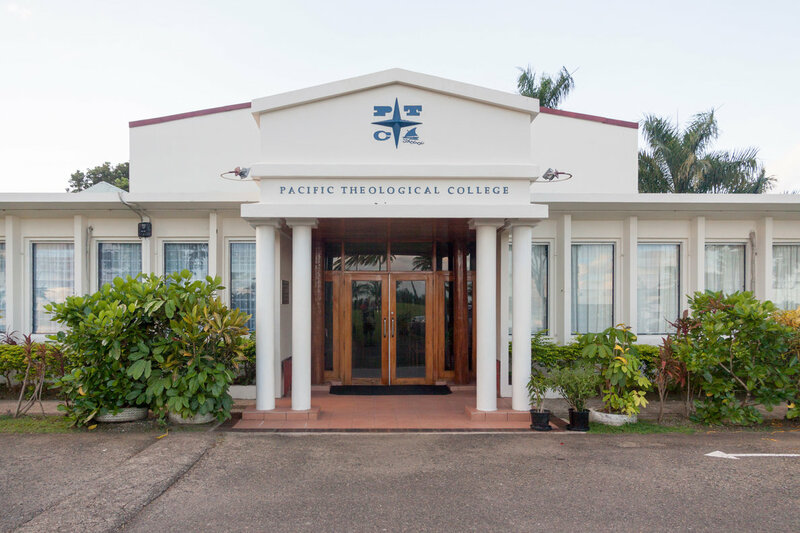 Nevertheless, PTCEE aims to be an ‘open door’ not a ‘closed shop’ for theological education. Contact us and be assured of a warm welcome and a listening ear as we talk about your needs.